erent uses, accounts, currencies and so on, but you still want to build a consolidate reporting. What Acumatica can offer here? Branches – one tenant for all companies and configure a set of branches for each company. 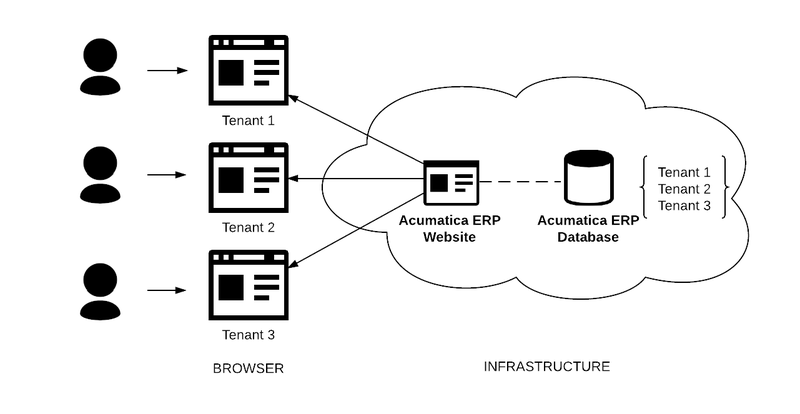 A single instance of Acumatica ERP may be used by multiple tenants that are isolated from one another. A tenant is a technical entity that is selected by the user to sign in to the Acumatica ERP website. different countries and use a different base currency, chart of accounts, and fiscal year. Technically, Acumatica ERP tenants share the same database, as the diagram below shows. To prepare consolidated reports that include the financial data of both subsidiaries, you have to set up the process of translation into a single reporting currency and set up the process of data consolidation across the tenants. The Acumatica ERP license applies to the number of entities that are tenants you can create on one Acumatica ERP instance. 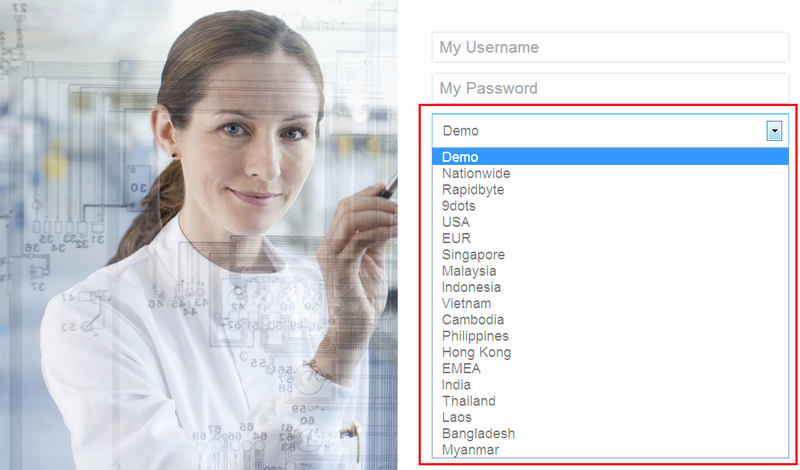 that is selected by the user after the user has signed in to Acumatica ERP. Branches can represent independent companies, but these companies have to use the same base currency, chart of accounts, and fiscal year. Branches can also represent physical locations of one company, such as the company’s offices. Use the provided out-of-the-box reports by branch and consolidated reports, and prepare any needed reports based on branches. 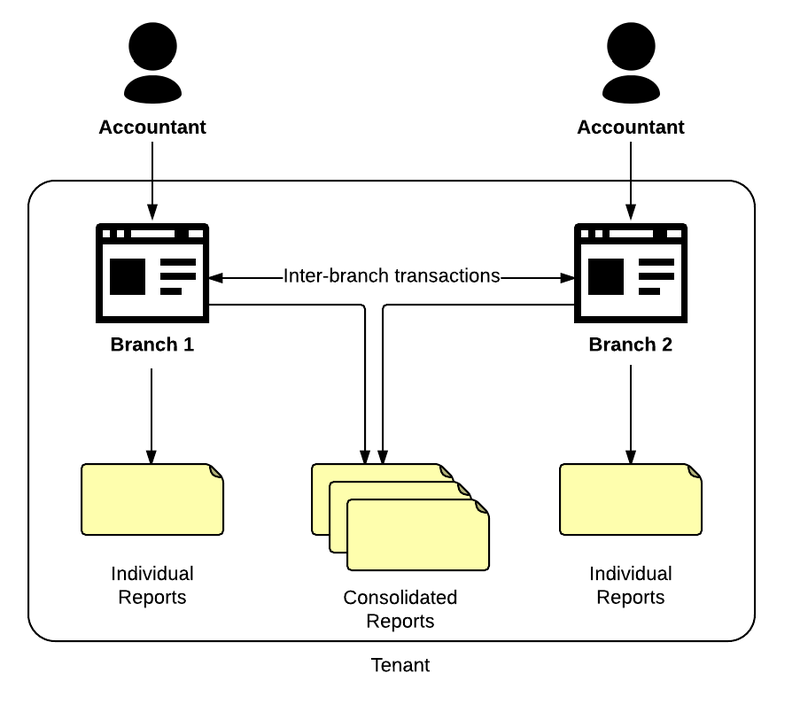 Automate the balancing of intercompany or intracompany transactions by the specified rules (account mapping). Configure user access to branches based on user roles so that only the users assigned to a certain role have access to specified branches. Configure user access to sensitive data so that certain users have access to certain accounts and subaccounts within the branches to which they have access. The companies use the same base currency. The companies use the same fiscal year. The companies have similar charts of accounts. The companies can share the structure of business account IDs (branch, vendor, customer, and employee IDs).